Panel debate discussing how architects and consultants work together and what they do best. Vince Simpson, Fit-Out Project Management Director, CBRE UK. J Parrish RIBA is a leading, internationally recognised, sports venue architect with a track record of more than twenty-five major projects stretching back to the 1970s. 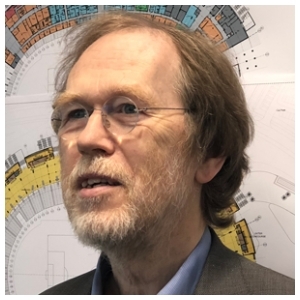 He is a keen advocate of integrating major venues into the hearts of our cities, and a pioneer in the development and use of parametric computer software for designing stadiums and arenas. He is currently lead designer on several AECOM projects including Japoma Stadium in Cameroon. As a Principal of AECOM Global Sport he led the sport’s architectural teams responsible for the Rio de Janeiro 2016 Olympic Masterplan Venues and, in collaboration with Zaha Hadid, Qatar’s Al Wakrah Stadium. His portfolio prior to joining AECOM includes Cardiff’s Millennium Stadium and Sydney’s Olympic Stadium concept design while at Lobb Sports Architects and the design of Shakhtar FC’s Donbass Arena and Singapore’s Sports Hub whilst leader of ArupSport. Other projects at ArupSport included collaborations with Herzog & DeMeuron on Munich’s Allianz Arena and Beijing’s ‘Bird’s Nest’ National Stadium. 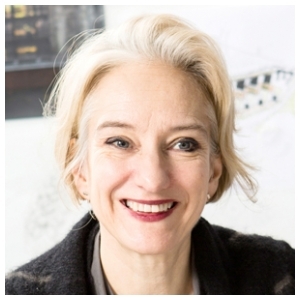 Helen Berresford is Partner and Head of ID:SR, Sheppard Robson's award-winning interior design group. Helen is a recognised industry leader and through her creative leadership ID:SR has developed an activity-driven design approach which puts people at the heart of the design process. Working with a range of occupiers that include creative organisations (BBC, Dentsu Aegis, TJX), educational organisations (Cardiff Metropolitan University, London Business School) and professional services (Deloitte, Freshfields, Ashurst) she is helping to overturn the traditional concept of the office environment. Helen is passionate about design and aims to create spaces that enhance people's ability to live, work, play and learn. Christian is the Managing Director of the UK arm of Macom GmbH (UK), Europe’s largest Audio Visual Technology consultancy. Christian is passionate about deploying the correct technology in a structured and quality manner to change the way business works. His career in the audio visual industry began in 1999 in Australia where he worked for Satellite Music Australia providing the latest music via satellite across the country. Since returning to the UK Christian worked for some of the world’s largest AV systems integrators in all areas of the industry including design, delivery, project management and business development. Christian has worked on some of the most prestigious AV collaboration and technology projects around the world including many award winning projects across many different types of busi-nesses and market sectors - working for companies such as Fidelity International, Telefonica, BP, Deloitte, KMPG, Rolls Royce, Shell, Clifford Chance, Hachette, Wipro, Atos and The WHO. Projects around the world include some majors in America, Australia, Canada, Africa, India, Korea, Singapore and Russia and Europe. His experience across such a broad range of projects in so many different locations has given Christian unrivalled knowledge of the construction process both on and offshore. He specialises in providing complex solutions to difficult and remote locations and global rollouts of solutions. As the remit and scope of AV has grown so has Christian’s input in to projects, developing knowledge and working experience in emerging areas and technologies. Focusing on UX, busi-ness structure and strategy Christian is the go-to expert for the deployment of smart building strategies and solutions. 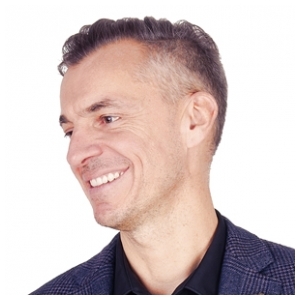 Formerly an architect with Pesch & Partner, Marcel specialises in designing with digital AV integration as you will see from his web site heller.tv and is designing the show rooms for Daimler globally. macom has worked with Herr Heller on some great projects including Nestle’s collaboration centre. Vince Simpson is a Director in CBRE’s London Corporate Fit-Out team. He heads up a team of fit-out project managers focusing solely on corporate occupiers. 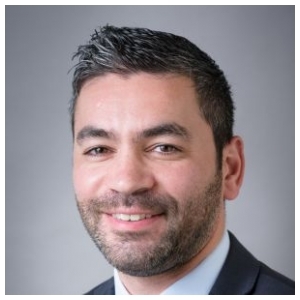 Vince started his career as an Army Royal Engineer and later transitioned in to site and project management for three of London’s top five fit-out contractors. Vince later decided to turn to the dark side of consultancy. Vince has set up and managed fit-out projects ranging from 1,000 to 90,000 sq ft ranging from Blue-Chip, mid-caps and start-ups in both a Traditional and Design & Build capacities. 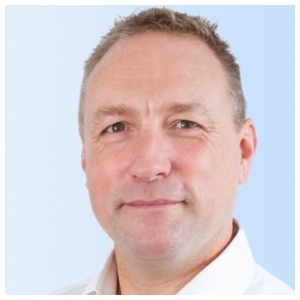 Vince is an RICS chartered project manager and CIOB chartered construction manager with an MSc in Project Management. Given his unique background, Vince brings discipline and structure to fit-out projects but in a very down to earth and pragmatic way.